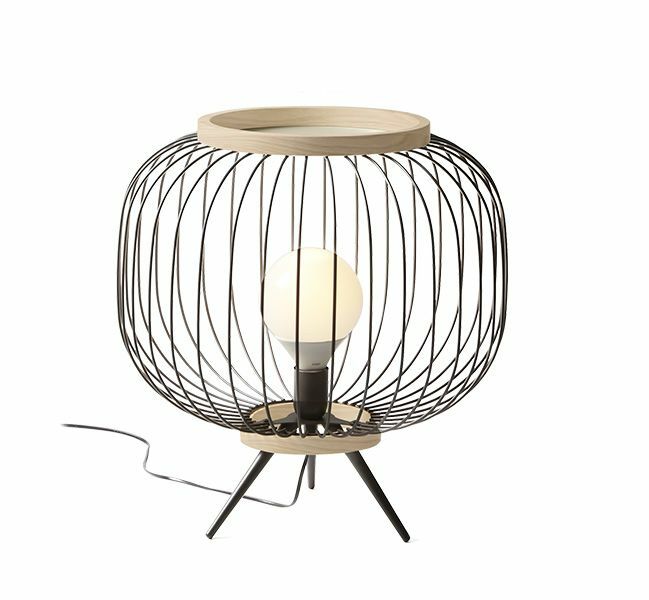 Floor lamp made of shaped and powder coated steel rod. The rings are made of natural wood and it can be used as miscellaneous holder. Colection of floor and pendant lamps made of shaped and powder coated steel rod. The two bands that close the round body are made of natural wood.